Sony's PlayStation Now service will stream PlayStation games from across the years to a variety of platforms including smartphones, tablets and TVs. Sony's 2014 CES conference was fraught with interesting news today. For PlayStation fans however, there were a couple of especially interesting tidbits. For one, it's been revealed that all those rumors describing the PS4 as being something of a sales monster were pretty much true. Perhaps even juicier than that however was the official unveiling of PlayStation Now. Set to launch fully in summer 2014, PlayStation Now will be a new service that allows customers to stream older PlayStation titles to a variety of hardware including the PS3, Vita, PS4 and even TVs, tablets and smartphones. Non-PlayStation products won't need to be made by Sony either, essentially opening up Sony gaming software to a plethora of potential new platforms. This will, of course, represent a significant expansion from the Gakai-based streaming service Sony originally confirmed for a 2014 launch on PS4 and eventually Vita. 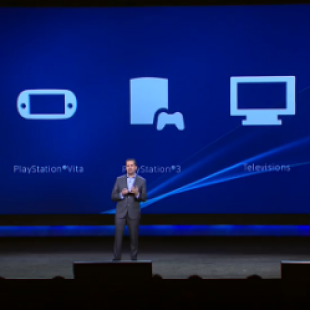 PlayStation Now will include games ranging from the original PlayStation right up to the PS3. To demonstrate the capabilities of PlayStation Now, Sony apparently will be featuring versions of The Last of Us, Beyond: Two Souls, God of War: Ascension and Puppeteer at CES that attendees can play on both PS Vita and Bravia HDTVs. The company also plans to launch a closed beta for the service on the PS3 by the end of January. There is currently no information regarding how much PlayStation Now will cost, but you can be certain we'll be watching and waiting to find out.